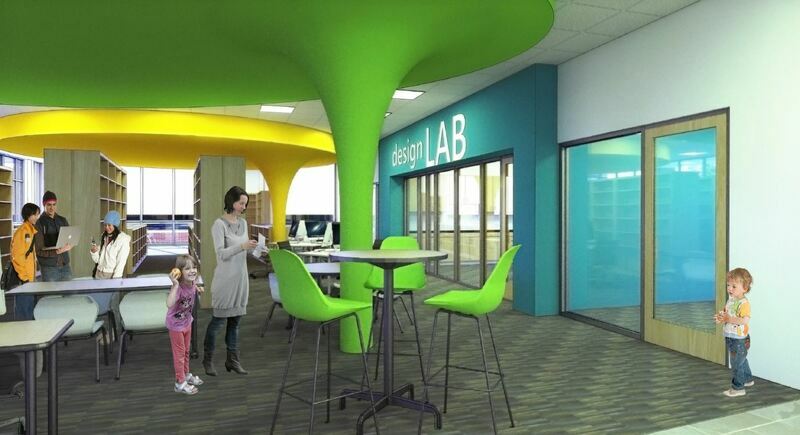 The capital campaign for the new Farmville Public Library is now underway and the library appreciates any and all contributions. A variety of giving opportunities are available - from sponsoring furnishings, honoring or remembering a loved one, and giving a square foot. Please consider a contribution to the library's capital campaign in your time of giving. Additional information about giving is located on the library's pledge form or in the capital campaign information packet. Charitable contributions to the library - a department of local government - for their capital campaign are tax-deductible under section 170(c)(1) of the Internal Revenue Code. For more information, please contact David Miller, Library Director, at (252) 753-3355 or email dmiller@farmvillenc.gov. Give the gift that will truly keep on giving! 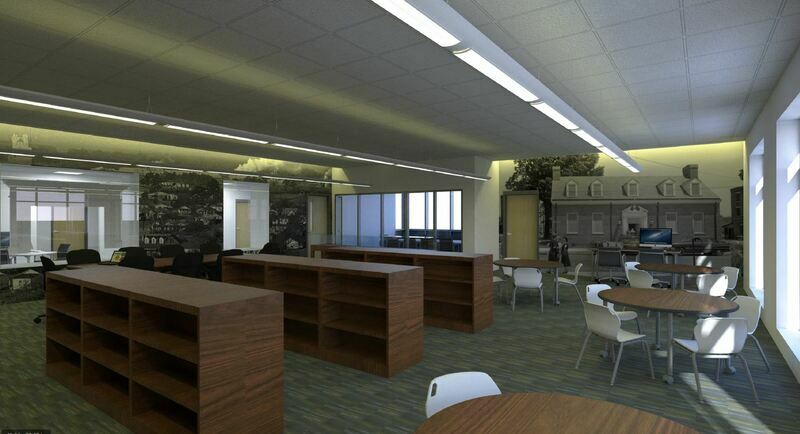 Why are you building a new library instead of renovating and expanding the existing facility? 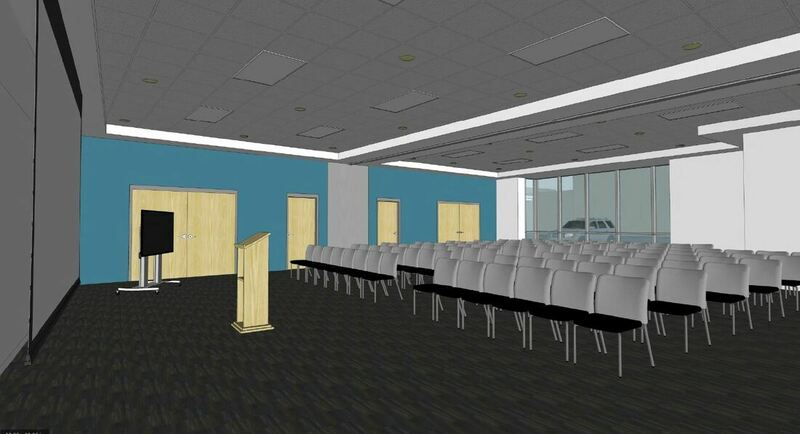 The original intent of this facility project was to expand and renovate the existing facility. 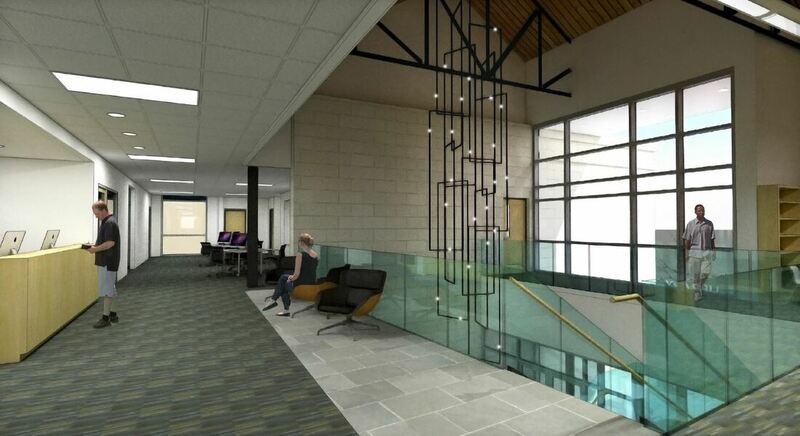 This request was approved in February 2017 and Smith Sinnett Architecture was selected after a thorough interview process to help the library with this effort. However, once structural engineers and soil scientists began their inspection, issues with the facility and foundation were identified. Ross Linden Engineering determined that the second floor was not built to withstand the current weight it is currently lifting, which helps explain the second floor’s dipping in various spots and the persistent creaking that can be heard when children and adults walk on it. Ross Linden Engineering also identified the need for jacking and straightening of the walls, as well as leveling the floors, due to settling. Terracon Consultants, Inc. discovered soft wet clay and building debris in the soil underneath the library facility, which also helps explain the settlement that has occurred. These findings are also consistent with historical research that documents that a previous structure was located where the library now stands; a feed storage building. In order to stabilize the building for renovation, Terracon Consultants, Inc. recommended that the existing building foundation be repaired using helical piers. If the building is replaced, the debris laden soil in the footprint of the new building should be removed and replaced with structural fill. His research also found that the 1997 renovation and addition posed construction problems due to the original building being unlevel. These known issues that required attention before a renovation and expansion could begin, their increasing costs, and the uncertainty of potential issues that would only present themselves once a renovation and expansion would commence, were presented to the Town Board of Commissioners in January 2018, then once again in February 2018 immediately followed by a public hearing for community input. The Town Board of Commissioners then voted unanimously to proceed with new construction. What historical significance does the library's current facility have? While the current library facility has sentimental significance – as all public libraries should have – the current building does not have any historical designations. The current facility also exhibits conflicting architectural styles of Cape Cod and Gothic influence. Will the library close during construction? 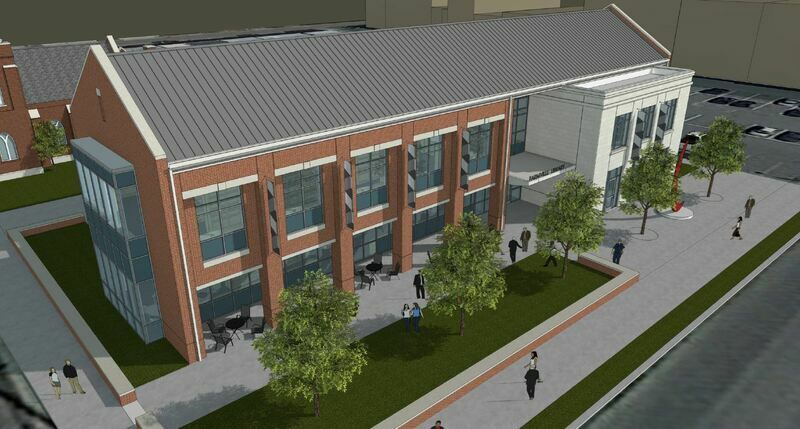 The library will be temporarily located one block away from the new site at the historic depot building on the corner of Walnut and Wilson streets. Is my donation to the Town of Farmville for the library's new facility tax-deductible? Yes. Charitable contributions to local government are tax-deductible under section 170(c)(1) of the Internal Revenue Code. The library is a department of the Town of Farmville local government. 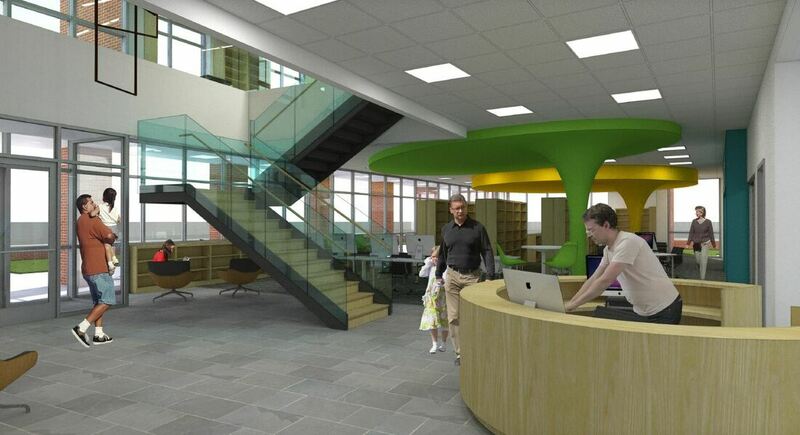 Who are the architects leading the library's new construction project? Smith Sinnett Architecture was selected after a detailed interview and selection process in June 2017. Drew Wilgus, AIA, LEED AP is the Project Architect and and Rhonda Angerio, AIA is the Principal in Charge. Smith Sinnett Architecture was founded in 1976 and is a certified Historically Underutilized Business (HUB), as well as a woman owned business. Who can I talk to about the library's facility project? ​1930 – Farmville’s first library begins operation with assistance of local Woman’s Club. May 11, 1954 – Library building opens in current location with the assistance and vision of Elizabeth Davis. 1997 – Renovation and expansion to existing facility. 2015 – Grant-funded consulting services sought for strategic planning and space needs activities. 2016 - Grant-funded consulting services awarded for strategic planning and space needs activities. 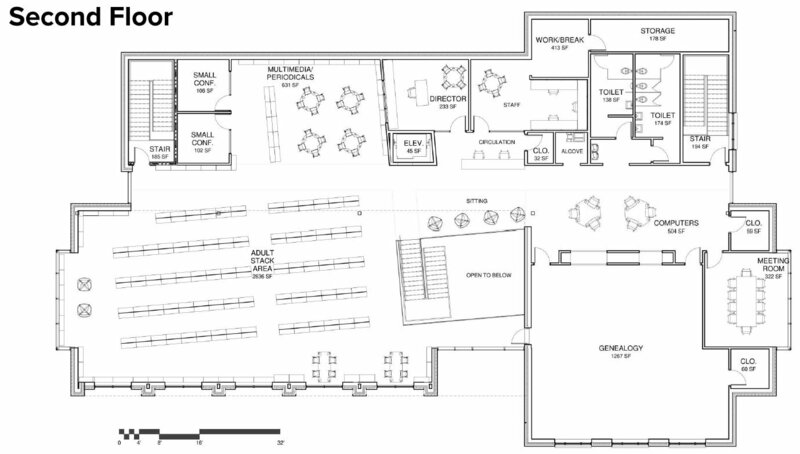 February 2017 - Details from library’s Space Needs Assessment presented at Town of Farmville’s annual retreat, which was followed by unanimous approval and support to seek architectural services for a renovation and expansion. 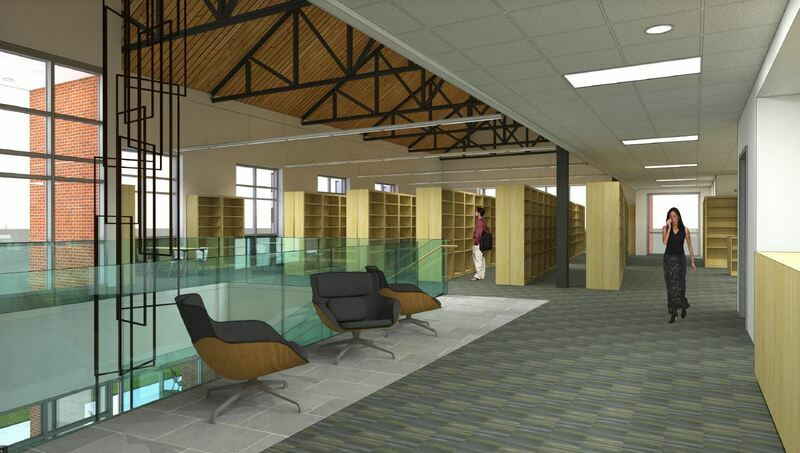 June 2017 - Smith Sinnett Architecture selected to lead renovation and expansion project after a detailed interview and selection process, with unanimous support of the selection committee, the Library Board of Trustees, and the Board of Commissioners. 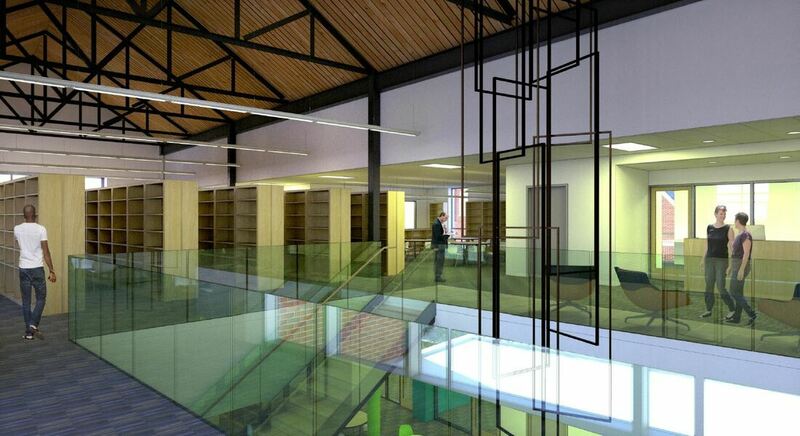 August 2017 – Ross Linden Engineers complete structural assessment of library facility. September 2017 – McDavid Associates, Inc. complete survey of library’s property. October 2017 – Terracon Consultants, Inc. complete geotechnical work around and on library’s footprint. January 2018 – Smith Sinnett Architecture presents details of work conducted and issues uncovered by Ross Linden Engineers, McDavid Associates, Inc, and Terracon Consultants, Inc. to Board of Commissioners. Details were provided for continuing with renovation and expansion, as well for new construction based uncovered structural and geotechnical issues. A public hearing for citizen input was approved for February 2018. 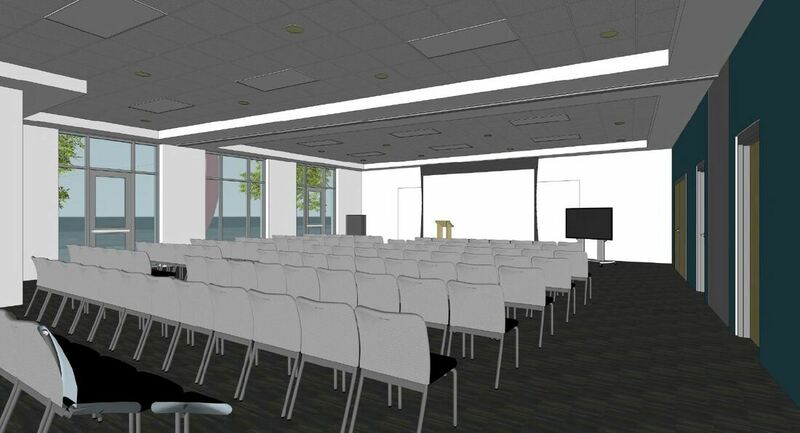 February 2018 – Library Director, Smith Sinnett Architecture, Ross Linden Engineers, and Terracon Consultants, Inc. presented details of work thus far and asked for public comment. After citizen feedback, the Board of Commissioners voted unanimously to proceed with new construction. March 26, 2018 – Smith Sinnett Architecture held a design workshop at the H.B. Sugg Elementary School for public input and feedback. April 5, 2018 – Smith Sinnett Architecture held a design workshop at the Farmville Community Center for public input and feedback. 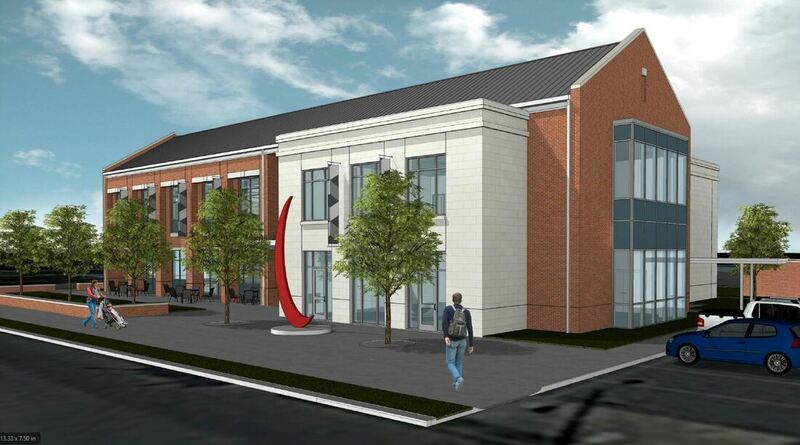 June 19, 2018 – Smith Sinnett Architecture presented renderings to Farmville Public Library Board of Trustees for feedback. June 26, 2018 – Smith Sinnett Architecture presented renderings at Farmville Board of Commissioner's meeting for feedback. 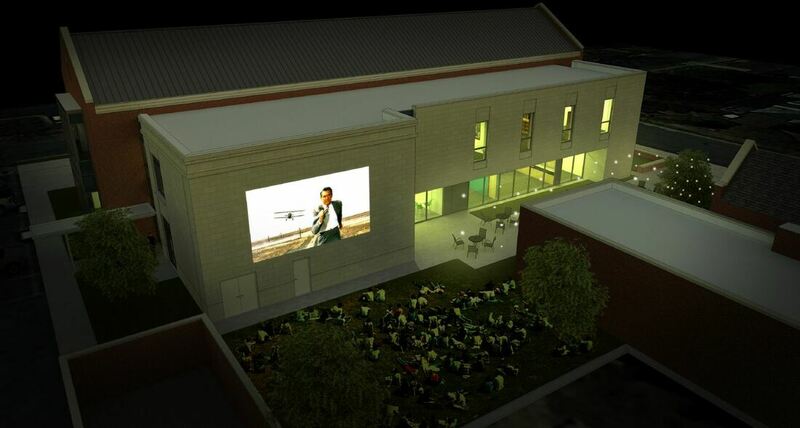 The Farmville Board of Commissioners unanimously approved the renderings and design. 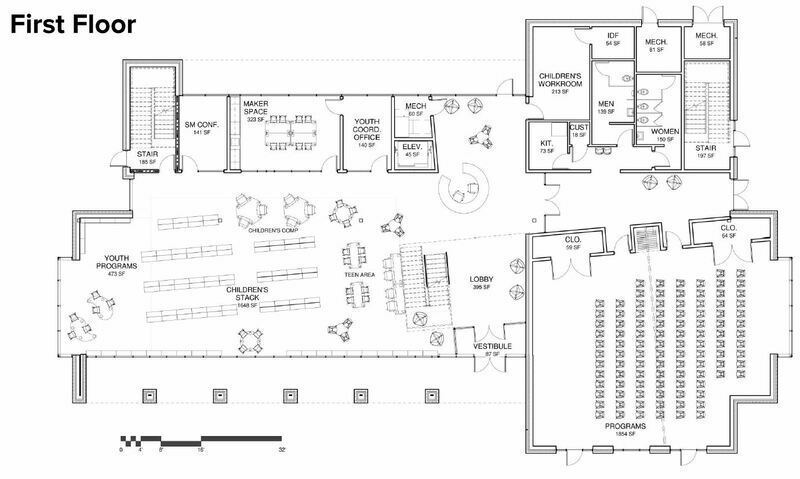 February 12, 2019 – Smith Sinnett Architecture presented drawings and updated project schedule to Farmville Public Library Board of Trustees for feedback. February 18, 2019 – Smith Sinnett Architecture presented drawings and updated project schedule at Farmville Board of Commissioner’s Planning Retreat.